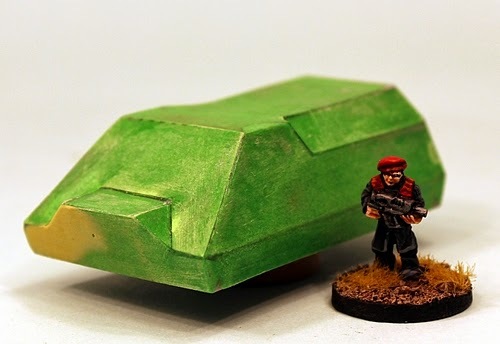 Its painting competition time over on the great Dropship Horizon blog, focal point of all 15mm science fiction wargamers. Open to all comers there is a list of suggested entries and there will be prizes too for the winners. This is an excellent idea to keep away the blues of the deep freeze period of the year. Check it Out! The painting competition runs from 15th January 2014 to 15th February 2014. You can enter a squad or a single vehicle or a piece of terrain or structure. Full details on the post. 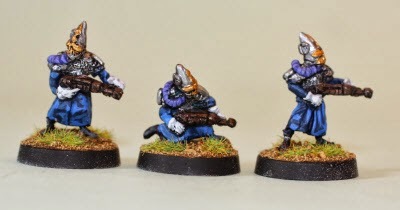 How about a HOF Zidhe Space Elf squad? As an aside I would be mighty happy if a wargamer won by entering something that we make and to that end although we are offering an offical prize along with many other companies I will be happy to mail out an additional wee surprise to any winner who used our products. On top of this since I am a great guy I am happy to digitally edit any pictures you want to send to DSH blog to make them shine; just email me or comment below. If any of our codes win I will personally make sure your loyalty is rewarded! In 2014 we will have a lot going on at 15mm.co.uk and one part of this will be an expansion to the HOF 15mm Science Fiction range to support the re-print of the Alien Squad Leader or ASQL2.0 rules system when we bring it back to the webstore in a few weeks time. The first expansion will be to the Security Force Alpha (SFA) part of the HOF Range with several new codes. One of these is the Charger APC. Another is HOF104 SFA Elite Troopers which you can see in a previous post. The concept for the Charger APC comes from the real world and also from Alex Self's Human Colonial Army template in ASQL2.0. This concepting post shows you the bare hull for the vehicle for an idea of its size and shape. The final vehicle will be produced in high quality grey tone resin and will be the first such item in the HOF Range. The Charger APC will be a wheeled vehicle for the transport of a squad of troopers and it will have a turret ring with a supplied turretted weapon and or hatch covering. There will be two versions of the Charger APC the first being a military one for low to medium intensity conflict on Earth or the Colonies with a lethal armament. Varient two will be a law enforcement version which will be fitted with a non-lethal armament. This suits the role of the Charger in Alien Squad Leader as it is meant to be used by Human Colonial forces in everything from police actions on crowds to civil war and up to alien invasion. The hull in the images is actually a piece of balsa wood carved by Sam Croes into the shape needed and then given a skree of green stuff and milliput for solidity. This is a new way that we are trying out for certain vehicles. We look these images a few weeks ago and it has worked well with the master hull being successfully molded. I will put up another posting showing the completed Charger APC once its ready and another about Alien Squad Leader too. Thanks to everyone who has asked to be on the 'tell me' list for the re-print as I said there will be an offer in it for you when the time comes. We are working towards a full Human Colonial purpose designed ASQL2.0 Army in a box. Welcome to the journey. 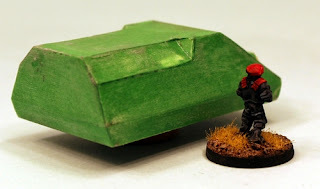 Wargamers who adore 15mm science fiction miniatures and models have been asking me since the inception of this blog to give some 'sneak previews' and 'coming soon' posts as well. Well I aim to please so here is the first one of the, well maybe more than one hundred codes for this year, new packs. HOF104 SFA Elite Troopers coming end of this month. Security Force Alpha (SFA) is the generic near future force in the HOF Range which we will be adding to with infantry and vehicle releases in 2014. You can view the existing packs in SFA on the 15mm.co.uk website and you can read an interview I did with Chris over at Dropship Horizon too. HOF104 SFA Elite Troopers will be a pack of ten mixed of four poses of typical veteran troopers in the same gear as the other SFA except for Berets instead of helmets. Useful for 'lower intensity' warfare or peace keeping or perhaps as a guard for a politician or leader. Bit more human than the blank visors of the rest of the SFA. We may also run a release offer on them too. HOF51 Grey Landing Party - one of each with a saving! New Year and New Fear! New fear that is from the stars. 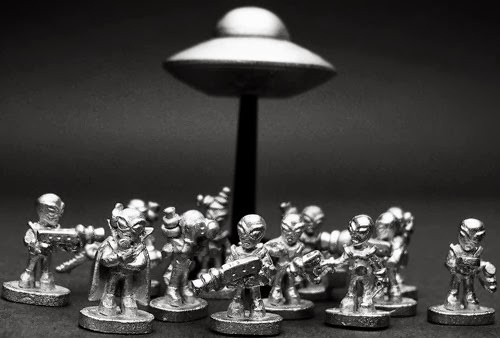 Here to conquer, here to study, here to abduct or just to probe...who knows but what we do know is that until 8th January 2014 you can get all the packs of our 15mm Alien Greys at 15% off normal price! Two final points to make in addition to this great offer. Please read on. Firstly thank you all for your orders over the Festive Season and I would like to remind you all that all offers end on the 8th January and that includes the availability of SN01 Snowmen which will be retired until December 2014. So if you want deals on EH01 Flower of Evil, HOF103 Rim Mercs II, Alien Greys or Snowmen you have only a few days left. See our Festive Offers page. Secondly and in reference to this offer on Grey Aliens. Are there any packs or poses you would like to see us sculpt to add to these fellows in the HOF Range? A new and bigger flying saucer? More Automated Servants? More Combat Poses? Paralysis Rays? Comedy Greys? We have some suggestions and ideas but I would love to hear from you by email or in blog comments. Thanks.